Climate change is affecting all the planet’s inhabitants, but some changes are more unexpected than others. In a new study, researchers report that rising temperatures are accelerating animals’ metabolism, which could end up making them smaller in the long run. 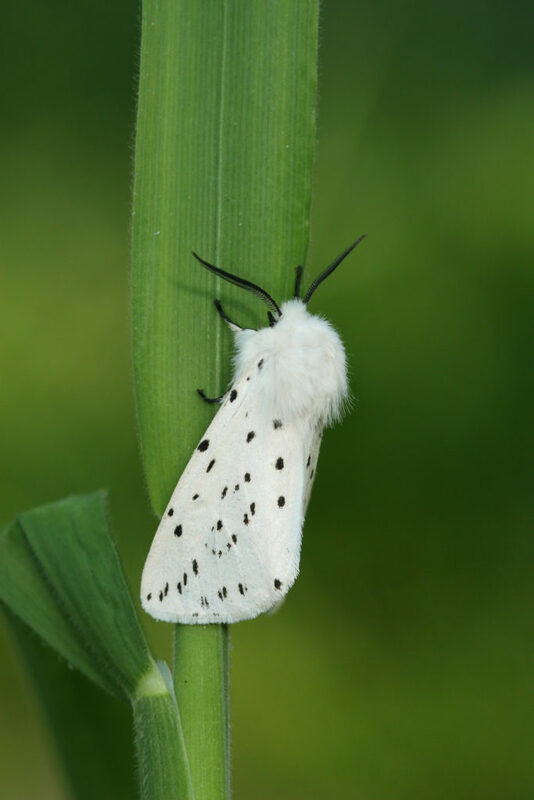 The White ermine Spilosoma lubricipeda. Macro-moth communities consist on average of larger, more mobile species in urbanized settings. Image credits: Maarten Jacobs. If you’re dreaming of a vacation on an island, then I’ve got some good news: you’re probably already on an island — a heat island, that is. Cities are much hotter than the surrounding rural and natural environment, sometimes by several degrees. To make matters even worse, not only are cities warmer than surrounding areas, but they also experience extensive fragmentation, which places a lot of stress on urban animals. Our planet is urbanizing faster and faster, as more and more people move to cities. In turn, this puts more and more stress on urban animal communities. A team of researchers wanted to test whether the effects of this urbanization are changing the body size of animals. “Because higher ambient temperature increases metabolic rates and the associated costs for a given body size, global climatic warming is expected to drive shifts to communities consisting of smaller species,” the study reads. Essentially, hotter temperatures accelerate the animals’ metabolism, and, and this drives them to become slightly smaller. This is now the first study to claim this — back in 2011, a different study also found that climate change is shrinking animals. Thomas Merckx and colleagues studied individuals from more than 700 species and 10 different taxonomic groups, including butterflies and spiders, that lived along a gradient of habitats in northern Belgium. They analyzed both urban and non-urban environments, comparing the results. Results showed that most of the time, this was what happened: urban creatures were slightly smaller, confirming Merckx’s theory. However, this was not always the case. In three of the instances, urban creatures were actually larger, not smaller, and it’s not clear why this is the case. It might have something to do with increased food resources available in urban areas. However, researchers suggest another idea: bigger animals tend to be better at dispersing and finding new habitats. Because cities fragment habitats, being able to find new habitats efficiently is an important trait. Either way, the fact that cities are changing the size of animals is worrying and could have significant ecosystem consequences. Researchers say that their study will be very relevant for future efforts which aim to understand, predict and mediate population resilience in urban ecosystems. The study “Body-size shifts in aquatic and terrestrial urban communities” has been published in Nature.